Business card can be a best marketing weapon for local business, it is a small identity of your company that can be work anywhere in the world. The business card is the single most successful marketing tool of all time. It’s simple, yet successful to build a company’s brand. Today, the business card is an internationally recognized method of exchanging contact information with each others. We believe that face to face interaction is always best option then doing a digital interaction via Social media or e-mails. When you are ready to leave the meeting or business place, handing the person you have met with a business card reiterate who you are and why you were there. It is something tangible they can carry with them and use when they need it. They will not have to wonder who/ or how do I contact? They have it there in their mind so in future they speak. Can Business cards still matter within the digital age, or could they be simply a waste of materials? 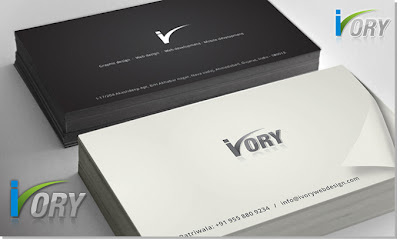 Why Business Card design is important? 1. Business Card is not just about your business contact details, it is also a reflection of your company and your brand. 2. Every new business relationship matters – When you are meeting in person, networking with business cards is an easy and affordable approach to reconnecting in the future after your initial meeting. 3. 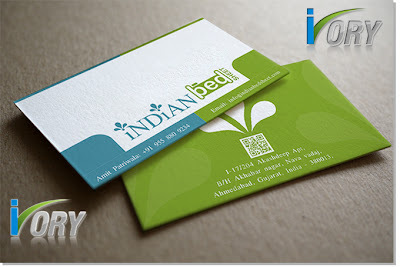 A business card is part of making an initial connection and it says you are serious about your business. It shows you care about the little things. Many times it is the very first time someone is introduced to you and your business, while starting the process of them remembering your name and recognizing your logo etc. iVory Web Design is a 360º digital graphics design agency that helps their client to create an engaging experience that builds online internet presence and branding.